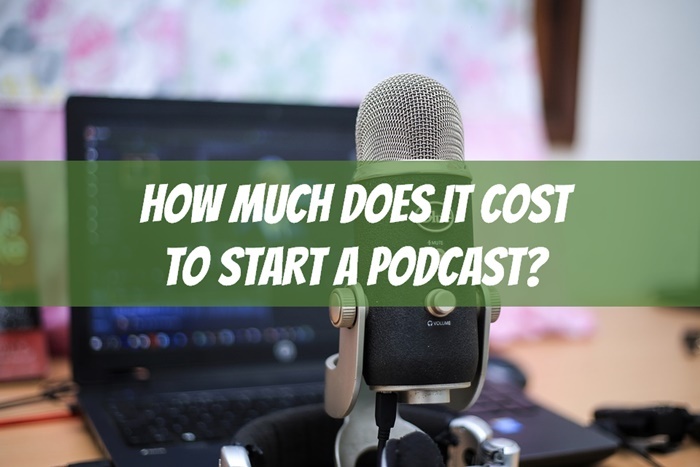 How much does it cost to start a podcast? Less than you might think! 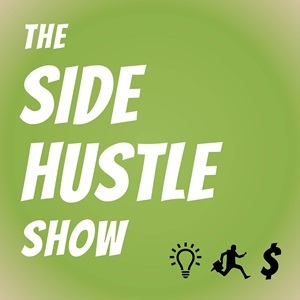 I’m about 3 months into my podcasting adventure with The Side Hustle Show, and it’s been a ton of fun so far. 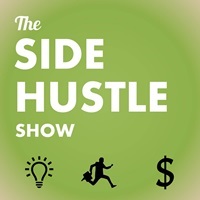 I’ve had the unique opportunity to meet some amazing side hustle entrepreneurs and share their stories and success tips with a growing audience of listeners. One question I’ve been asked a few times is how much it costs to start a podcast, so I thought I’d put together a quick list of the expenses in case you were curious or are thinking of starting a show of your own. By far the biggest expense has been time. It takes a few hours to record, edit, write the show notes, and publish each episode. But the monetary costs are quite low. I’ll include the Free, Budget, and Baller options for each of the items below. Without a way to get your voice into the computer, there’s no way to make a podcast. Free Option — The built-in mic on your computer. Sound quality will probably be less-than-awesome, so I don’t really recommend this, especially when the content you’re producing is an audio format, and poor sound quality can scare away listeners in a hurry. Besides, a quality microphone is a pretty small investment. This microphone was priced around $36 on Amazon. I added a mic stand and one of those foam microphone covers (pop filter) and I was out the door for under $50. When I use this mic for Skype calls, people always comment on the voice clarity, saying it sounds like I’m right there in the same room. And the best part is it plugs right into your USB port so you don’t need any extra fancy mixer equipment. This one is around $280 on Amazon and gives professional quality sound. However, I wouldn’t recommend it for beginners because the price is so much higher. When we think of the 80/20 rule, it definitely applies here. 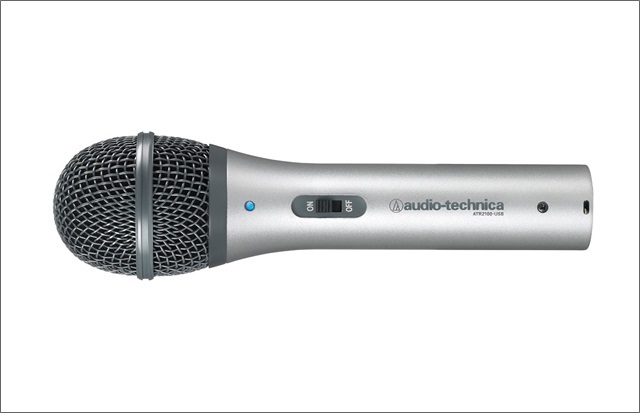 The Audio-Technica mic will get you probably better than 80% of the sound quality as the Heil, for less than 20% of the cost. The other downside of the Heil is that it only has an XLR connection, which requires the additional investment of a mixer board ($50-$200) for recording. Audio software is definitely required to edit out the unwanted tangents and awkward pauses during your recording. You can also use it to splice in different audio snippets and sounds, such as your intro and outro, any special commentary, or applause effects and laugh tracks. Both of the above are free. Garage Band should come pre-installed on any Mac. Windows users will have to go out and download Audacity. I’ve been using Audacity and there’s a little bit of a learning curve but I’m getting it figured out. The Adobe Audition software is $20 a month, and I’m not sure if there’s an option to just buy it outright. I’m sure it’s amazing but for the near-term my cheap self will be sticking with Audacity. If you plan on having guests on your podcast, it’s important to have a way to record your conversation. If the show will just be you on your soapbox, you can record directly into your audio software (Garage Band or Audacity). My original Skype recording software (CallGraph) began giving me problems in 2016, so I tested a few alternatives including Zencastr and Ringr, before settling back on another free option in Amolto. The eCamm software is around $30, and the Pamela recording software is around $20. Because Mac users are richer? Note: Pamela failed on me a couple times so I actually got my purchase refunded. Most podcasts don’t go directly into the content without a little intro at the beginning. Think of it like the theme song and opening credits of your favorite TV show. You definitely don’t need a fancy intro or outro, and you can certainly record one yourself and even add some homemade tunes or sound effects from Garage Band or Audacity. I love the hilariously awesome and super cheesy voiceover I got from Fiverr. It ended up costing $15 because the music was an extra $10. With Voice123, you can submit your project for thousands of voiceover actors to bid on. Then, you can pick the best one and work directly with them. The average cost of a podcast intro might be in the $100-$150 range. The hosting question was something I was completely unaware of when I started. I figured thought Apple hosted your mp3 files in some massive datacenter somewhere. Nope, you have to do it yourself. iTunes and other services are basically just feed readers. The service is called media hosting and is naturally a whole industry in itself. Had no idea. Since you’re likely already paying for hosting for your website, the lowest cost option is to use that account to host your podcast files. After all, even most cheap shared hosting accounts come with “unlimited” storage, right? Well doing it this way has some pretty serious disadvantages. If the podcast files are hosted on the same server as your website, you site may slow to a crawl if even just a few people are trying to access the file. And because you site is on a shared server, you may run into trouble with your hosting provider if the bandwidth becomes an issue. Buzzsprout offers a free podcast hosting plan that allows up to 2 hours of new shows each month, but the downside is they delete your old episodes after 90 days. If your content is “evergreen” that’s a big drawback since people will no longer be able to hear all your great older episodes. Amazon’s cloud hosting option is a viable choice for beginning podcasters because the file storage and bandwidth charges are inexpensive, and there is even a free usage tier for light users. With S3 media hosting, ultimately you pay for what you use, so if you plan on having an unpopular show, it could make sense. Of course the downside is if the show becomes a hit you could be faced with big bandwidth charges. What I dislike about Amazon S3 is that it’s written for engineers. They don’t want to sell hosting to you and me, and so they deliberately make it hard to understand what it will actually cost. And on top of that, they don’t have any good reporting on podcast download activity. For $5 a month you can upload 50 MB a month of new podcasts, and for $15 a month you can upload up to 250 MB worth. I’m on the $15 plan. For the sake of illustration, each minute of audio is approximately 1 MB. The great thing about Libsyn is the cost is fixed no matter how many people download your show, and they track your download stats for you. I used the promo code SPI when I was creating my Libsyn account, which I believe earned me a free month and was a nice way to say thank you to Pat Flynn for putting together his excellent video tutorial series on starting your own podcast. When you submit your podcast to iTunes, they’ll ask for some cover artwork they can display in their interface. I actually made my album cover myself in PowerPoint. Make sure the dimensions are at least 3000 x 3000 pixels. It’s not the best-looking thing in the world, but I liked it. It was also a PowerPoint creation. Have one of the talented graphic designers on Fiverr create your album art for you. Heck, you can buy 5 different gigs and pick the one you like best and it still only be $25. For $299, you can have a worldwide army of professional designers competing to win your business. All in all, it cost me about $80 to get The Side Hustle Show up and running, and the only recurring cost is the $15 a month for the media hosting with Libsyn. Not a bad investment to reach thousands of listeners! Over the last few years, the show has turned into an amazing creative outlet and a pretty substantial standalone business of its own. If you need a website to go along with your podcast (like a place to put your show notes and receive comments from listeners), my free video course on how to set up a website will get you started on the right path. This info is fantastic!!! Wow. Thank you for laying it all out. I can now see that I’d be probably best off choosing to start by focusing on webinars, videos, podcasting or blogging. I think I’m leaning toward webinars or videos, for now. Thanks Tim! Are you thinking of starting a show of your own? I believe I will have to disagree with you on the hosting section. The Budget option should be the libsyn or blubrry, out of the point you made, that it get very expensive when you site takes off with Amazon S3 while Libsyn will not increase you fee if you have one or a thousand downloads. But that is just a differing of opinions. Good to see I found someone who is mentioning the ATR-2100 great starter mic. I’m not sure if it would work, but it seems like Dropbox, Box, or Google Drive would work for hosting as well. They all have ways to host files and you can make them public with urls to embed files or media to your site. Nope Dropbox, Google drive, and the such are very bad ideas for media hosting. Why? 2 reasons, 1) it is against their Terms of Service. I have had a few people in blind panic because Dropbox closed their account. 2) Byte Range Request your HOSTING server has to provide this for iTunes. Yes they require it, if you want to be listed in new and notable and have your show grow. Also if your want your show to be steamed. If you have to go free use Archive.org. but is you want to start out with the best for forward then libsyn or blubrry is your preferred option. Excellent info, Bryan — thanks for sharing! Anytime just want people to have the best experience starting out with their podcast. The only thing I would add to this list is a decent pair of headphones. It’s hard to mix with just earbuds. And not Beats. Those are overpriced garbage. Great reminder. You can do it with speakers or ear buds like you can cook an omelette on a panini press but why. I never knew it was so cheap to start a Podcast Nick! Yeah buddy — the start-up costs are super low. The biggest expense is the time to record and produce each episode and create the show notes. And of course the hosting cost is kind of indefinite… $15/mo for the life of the show. So how do you get your show notes done Nick? Do you do them yourself or VA? I really like the summary that your provide for each show in a pdf format. Really helps. So far I’ve just been doing it myself, though looking for some ways to streamline the process because it is time-consuming! is there any way to do the podcast on youtube? would i still need a host or just upload? what about calls and conference calls and how do you record the conversation? Love it! Will be using these resources as I begin my podcast! Thank you! Hey Nick, your podcasts are excellent and they are turning my commutes into very useful and educational uses of time. Just curious…how do you connect with your interview guests? Are you using Skype for the podcast calls or some other call recording method? Thanks. Yep, almost always through Skype. Did one I think w/ Google Voice and the call quality was not as good. Great information here as I will be putting it to good use. Thank you! I was wondering if you wouldn’t mind updating the post with equipment you might be using nowadays? How are you coming along with Audacity? Have you ever given Goldwave and Reaper a shot? Both paid options, but fairly inexpensive for audio editing. And, as far as Libsyn, are you still paying $15? If so, do you remove older shows for less storage, or do they only charge by the number of downloads/bandwidth you use? I’m a big fan of the show and look forward to more helpful behind-the-scenes material like this in the future. Occasionally I’ll use Auphonic instead of Levelator of leveling but that’s about it. Still plugging away with Audacity and feel like I have it medium-well figured out — still doing all the audio editing myself. Libsyn is still $15 a month. That’s what’s cool about; it’s based on the monthly update storage (250 MB) regardless of how many or how few downloads you have. Buzzsprout has been recommended lately for podcast hosting but haven’t checked it myself. Stay tuned in a week or two I’ll share some monetization strategies I’ve been testing out for the show. Just to be clear to Joe, Libsyn lets you put store all your old (uploaded previously) content free as part of an ongoing membership. So they are only looking at how much new content you are adding. And if you have a backlog, you can often find a 1st-month-free option (and then scale down to the low-cost version like Nick uses). Of course, LibSyn is not totally crazy, most of your traffic will be around new content, so giving you the ability to store and continue to share your older content is a good way to help with indexing and making it simple for you to decide they are the way to go. Another key point of Libsyn is you get download statistics. just wanted to know how much money you can make off a podcast and how much does it cost to play music on a show? In the next couple weeks I’ll have a post on the different ways to monetize a podcast and my results in testing a few different methods. it doesn’t cost money if you use podsafe music. Like music from music alley. You can do a search for podsafe music and get a good list. Another way is to buy royalty free music. Does cost but you don’t have to pay residuals. And how much can you make from a podcast? Not much. Yet, you can make a good living because of your podcast. Look at John Lee Dumas of Entrepreneur on Fire fame. He bring in, at last I heard, $250,000/month. Lot of cash I agree. 60,000 of that is from his podcast, or sponsors. The rest of his income is because of his podcast. That is, people listen to his show and they then buy his services. Yeah 60,000 is a whole lot of dough but he puts out an insane number of shows. But the point is in ratio speak John doesn’t make his money from his podcast but because he has a podcast. This is great Nick..just purchased mic! Ill let you know my plan later! Such great information, feeling inspired! Thanks for the note. I’m actually still using the exact same equipment and software, but have begun investing in outside help for show notes and editing. Great ideas! I love the break down. I am a truck driver and i am starting my own podcast. I will be recording as i drive. Any ideas on a good mic for that? where u able to podcast live while driving? Does Libysn allow/facilitate having a paywall if I want to have a paid subscription to my archive vs. free? Is there a way to do a live stream at a set time each week? I love your compilation and I just found out your site. You are really doing great work. Just to let you know I can be doing transcription for your podcasts at a fee and free you the hustle of having to make notes. Thanks and get in touch. I originally got Camtasia because I needed it for creating training video on pluralsight.com but it also works for audio only files. It makes it super easy to cut out sections of audio that you don’t want in there (like if someone coughs). It was $250 but it was a one time purchase that I can use forever. Compared to that option for $20 a month, its not a bad deal for a professional recording and editing program. Wow – super great info Nick! Thank you for listing it all out in an easy to understand read. I hadn’t even considered where I would host all of the audio files. Guess I figured I’d just use my Google Drive but that wouldn’t work. Obviously Libsyn seems like the logical choice. Thanks again! Thank you so much this article, It is a great help! I wish to advertise my company’s transcription services through a podcast. Kindly tell me how to go about it? Would a podcast be a useful tool for advertising services in UK and Canada? please answer asap. Possibly. Advertisecast.com might be a good place to start. hey man this was great, I’m 100% doing this, super info, this really really helps me a lot, thank you so much !!!!!!!!!!! 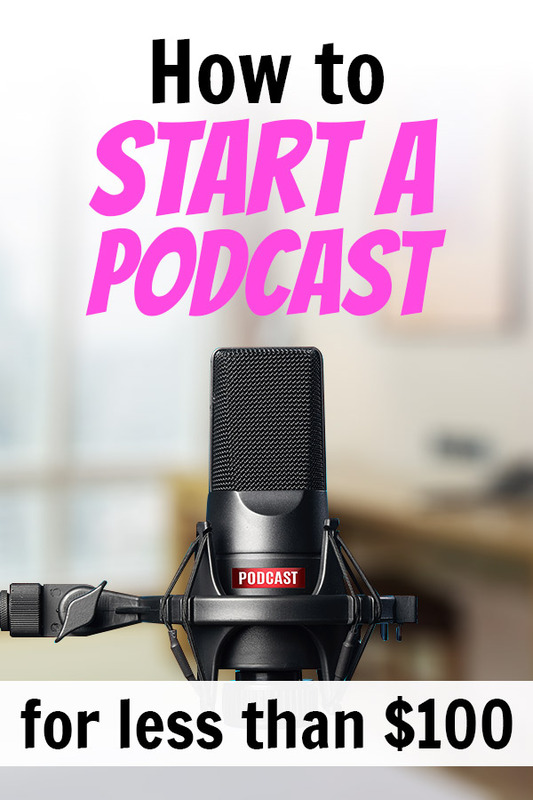 Very helpful information for those who want to make a podcast for their business. I will also try to advertise my company services through podcast. Thanks for sharing valuable information. Keep writing such a nice article. I intend to outsource interviews to someone living abroad. What is your advice regarding how the audio files should be sent to me for editing before publication? Nick, this is hands down the best article I’ve found on starting a podcast. The articles I’ve seen were either saying I had to spend an arm and a leg, or, they suggested options that didn’t pan out in terms of recording quality. After reading your post, I’m excited about giving it another try! Thanks for the great piece. Thanks Ben! Keep me posted on your show launch! You can check out GrowPlayer.com – One of the best podcast player for content marketers. 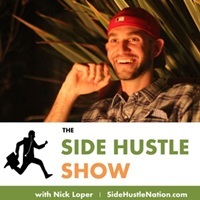 Excellent content Nick, very helpful and actually tremendously helped to start my website and podcasting. I’m hoping to have the rest of my equipment next week to broadcast the first show. It looks like the budget option for the microphone has gone up quite a bit, is there another you recommend? Also, which mic stand and pop filter do you recommend? And if you’re interviewing someone could you set the microphone up on a table and it would pick up the conversation or would you need two?